It's important to us that we let our kids, youth, and parents know that there are different ways to look at God. We don't want to teach a narrow view of God because God is expansive. In Sunday School last Sunday, we sang a new song that listed many names we have for God: Lord of Lords, King of Kings, Mighty God, Lord of Everything, Emmanuel, Great I Am, Prince of Peace, Lamb, Living God, Saving Grace, Ancient of Days, Alpha, Omega, Redeemer, Friend. 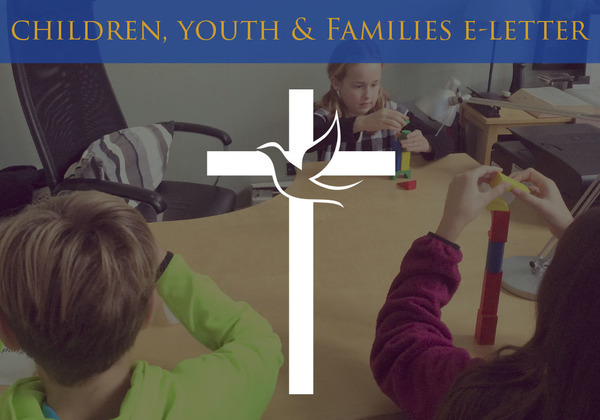 It's our goal to help kids and youth understand God in all these myriad ways. In the teen Sunday School learning group I lead, I was so excited to see the video provided in our new Whirl Sunday School curriculum spark big questions about how we name and understand God, like: How big is God? How can God hear my prayers if hundreds of other people are praying too? And at the Confirmation Dinner at 6pm this Friday at the Kelly family's apartment (Click for directions), we're going to get to talk about how Lutherans view God compared to Methodists, Catholics, Jews, and more denominations and religions. What name or way of understanding God most resonates with you? Feel free to reply to this email. We'd love to hear.